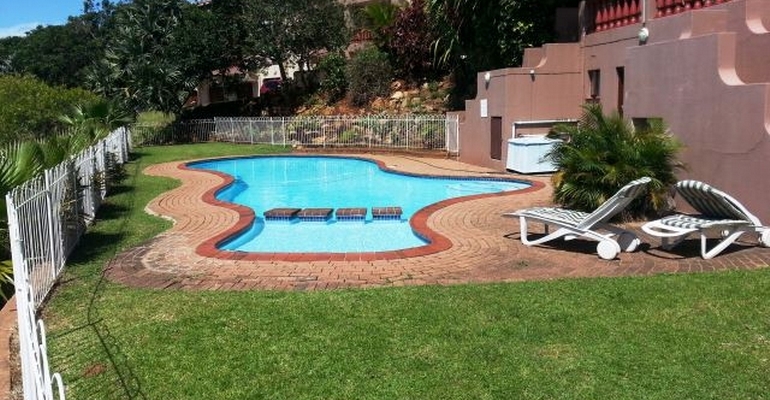 Enjoy a peaceful holiday break in this lovely 2-bedroom, 6 sleeper self-catering holiday apartment located in a secure complex in Port Edward on the Lower South Coast of KZN, ideal for 2 couples or a small family. The unit is an upstairs unit with a double bed in the en-suite master bedroom and two single beds in the second bedroom. There is also a sleeper couch in the lounge that can be used to sleep an extra two children. There is a balcony off the lounge with pleasant inland views. Enjoy breakfast or dinner on the balcony, especially on those warm summer days. There is a portable braai available on the balcony for your use.